It’s one of the finest lines any follower of Jesus can walk: the line between knowing more about God so you worship Him and knowing more about God so you become proud. It’s so easy to confuse the two in the beginning, but the outcomes couldn’t be more different. On one hand, we can learn about God and be brought to worship Him more, to love His Word, to obey His commands and to love others. On the other hand, we can learn about God and become more critical of others, more inflated in our self-estimation, and unable to love the very people God Himself loves. How could similar things produce such different outcomes? I don’t know, but maybe this is why the Bible and Christian tradition have always warned against useless knowledge. Don’t stock up on useless knowledge. 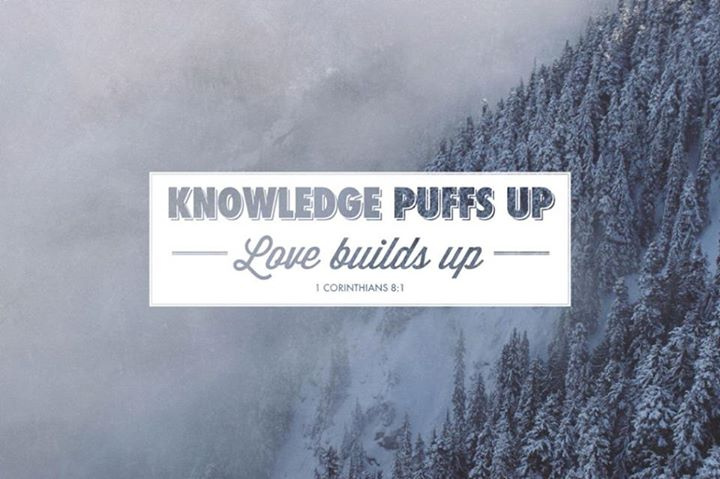 Instead, let our pursuit of knowledge only be part of a greater pursuit of a deeper with God and others. Anyone who knows me knows that freshly baked, chewy, chocolate chip cookies are my guilty pleasure. Any notion of limiting my sugar intake flies out the window when presented with a plate of warm chocolate chip cookies. A guilty pleasure is something we know isn’t good for us but we enjoy anyway. We all have different guilty pleasures, but there’s one guilty pleasure every human enjoys: the misfortune of our enemies. 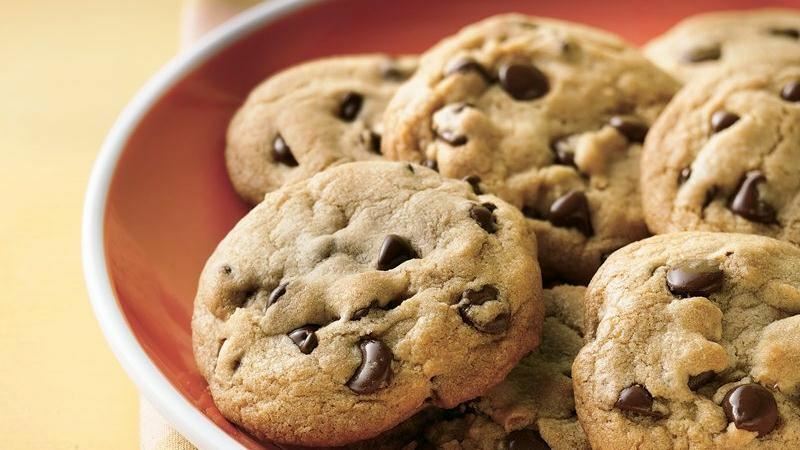 Watching the ill-fortune that falls on someone who has annoyed us, fought us, antagonized us, or done anything against us is more irresistible than chocolate chip cookies. I love it when a driver who’s been tailgating me gets stuck and delayed. I love it when a person who’s been bashing one of my friends online suddenly has an army of their own haters. I love reading articles about horrible people who suddenly have a stroke of well-deserved calamities. I’m ashamed to admit it. I know I shouldn’t indulge. But it’s my guilty pleasure. Can anyone else relate? Now what makes it worth it is seeing the person’s misfortune. There’s little pleasure in hearing about someone else’s bad luck without seeing their pained, frustrated expression. This is what makes God so aggravating when it comes to revenge. He doesn’t give us that pleasure. In the fifth book of his Chronicles of Narnia series, The Horse and His Boy, C.S. 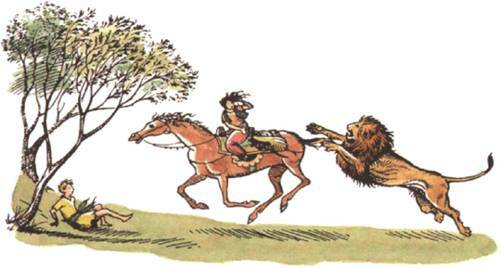 Lewis describes a conversation between Aslan (a metaphor for Jesus) and the boy, Shasta. Shasta, the fisherman’s son, has been traveling with Aravis, the noblewoman. Aravis has wasted no opportunity to disdain Shasta’s low birth and lack of social graces. The entire time Shasta raged impotently. Then they were attacked by a lion who scratched Aravis across the back. Shasta rescued her, and she began to see him in a different light. Later, Shasta encountered Aslan who revealed himself as the lion who had chased them all the way. I’m sure Shasta would have relished that scrap of gossip. It would have felt good to finally have something against the ever-superior Aravis. But Aslan didn’t allow Shasta that indulgence, even though Aravis had earned it. Aslan then steered Shasta to his purpose – something much bigger than this feeble attempt at comeuppance. And you’ll have to read the book for the rest. In the same way, God doesn’t allow us to indulge in revenge. Instead, He wants us to continue in our relationship with Him and discover His purpose for our lives. That’s worth meditating on so much more than any petty vengeance we can muster up. Some of us are motivated to succeed to prove others wrong not to honor God. That’s a path to burnout and disappointment. When you finally succeed, it won’t make things better. Some of us have people we love to hate. We regularly check their social media feeds to see where they are and compare ourselves. We’re angry when they succeed and we rejoice when they’re doing poorly. This is a waste of time. Some of us act like our healing and restoration can only come after those who did us wrong have suffered an equal or greater amount. That’s not true. You can be healed when you put your faith in Jesus. In fact, part of your healing will be finally letting them live their own story. They hurt you, but Jesus heals you. They took something, but Jesus returns it and more. What the devil meant for evil, God turns to good. Let it go. Trust God. Let’s not indulge in this guilty pleasure. Stick to chocolate chip cookies. Proverbs 20:22 Do not say, “I will repay evil”; wait for the LORD, and he will deliver you. 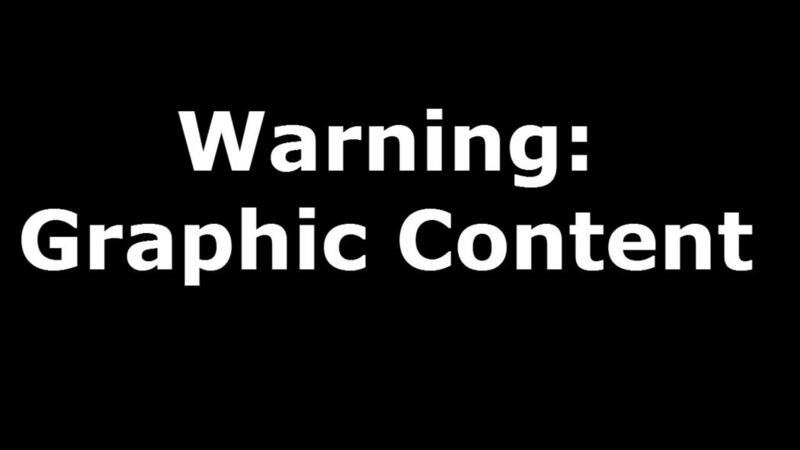 WARNING: The following post features very graphic images. They are never used gratuitously and are essential to the point. But the shocking and jarring nature of this article could reopen some wounds and repeat the trauma of the NBA Finals to Golden State Warriors fans. My apologies. In Game 3 of the NBA Finals, Lebron James performed yet another feat that proved that he truly is the greatest player currently playing in the NBA. In the 3rd quarter, he stole a pass and got bumped by Steph Curry. He stumbled to the floor and picked himself up without losing his dribble. He looked up and passed the ball ahead to Kyrie Irving. Irving took a few dribbles than lobbed it to Lebron for an alley oop but the pass was completely off the mark – much too high and too far to the right. Lebron picked up his speed, launched himself above the hapless Klay Thompson, and stretched out his right arm catching the errant ball. Incredibly, he slammed it through the ring, even as he was drifting away. The game was over even in the third quarter. Kyrie threw a bad pass because he wanted to see something great. He wasn’t interested in a gentle lob. He was throwing an off target fastball of a pass knowing that Lebron had the speed, strength, and jumping ability to slam it home anyway. The impossibility of the pass only made the play greater. In other words, Kyrie has faith in Lebron. These words challenged me. 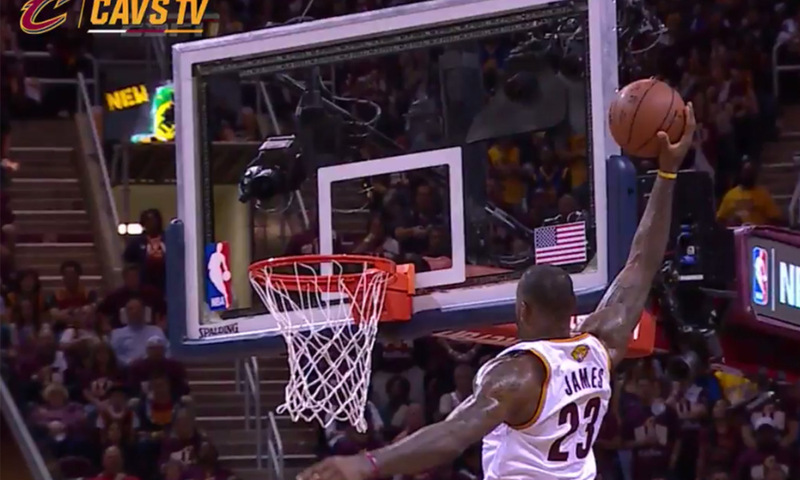 If Kyrie has that much faith in Lebron James’ abilities, how much more should I believe in the abilities of my God? Lebron may be an expert on impossible shots, but God has delivered consistently on even greater impossible situations. Prayer is like an alley oop to God. We’re just throwing it out there; He’s the one who slams it home. We get to participate and witness something great. So let’s throw Him the biggest prayers we can. He’ll deliver. 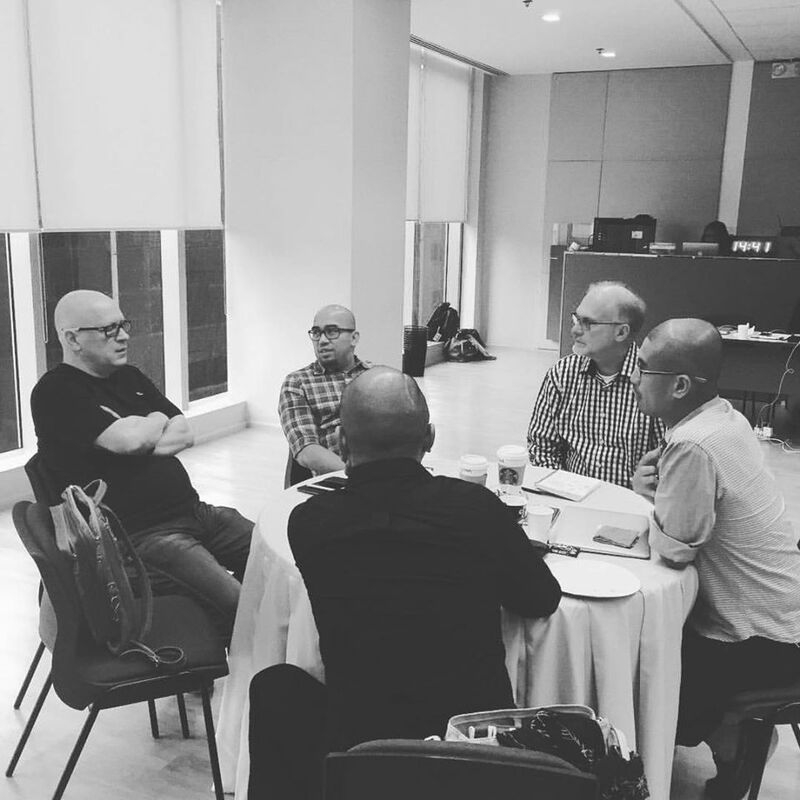 Let’s share the Gospel to seemingly impossible people, because we want to see something great: a changed life. Let’s pray for miraculous healing, provision, and restoration of relationships, because God wants to do great things for His people. Let’s believe that institutionalized poverty can be eradicated in our nation, because when God does that we will be privileged to witness something awesome. Let’s live everyday expecting God to do great things in our everyday impossibilities. I wish I downloaded those cards on the internet for inconsiderate parking jerks like that driver. 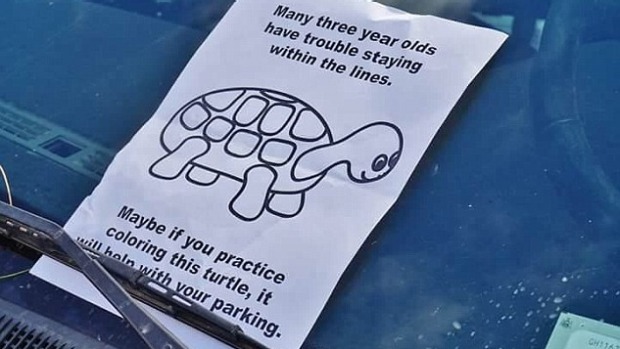 Or I could leave a mocking note on his windshield. Or I could force my car into the space anyway giving him a difficult time climbing in his car. This was the most tame example. The others are abundant in profanity. But it would have felt so good to slip them under the wiper of his car. As these delightful schemes multiplied in my head, I remembered Pastor Christian Flores’ preaching from last Sunday. He had described how hate and offense is the spiritual equivalent to murder. Being offended and thinking bad thoughts towards someone is like killing them in your heart. Talk about a buzzkill. If you wanna hear it, you can listen to it here. I was immediately convicted. There was no denying how murderous my intentions were. It was also surprising how quickly these thoughts came to mind. There was no need for brainstorming or mind mapping. When we’re angry, we can easily think of multiple ways to lash back. There are no limits to human creativity in hurting one another. Pray for people you don’t like. Your heart for them will change. Their heart could change too. So I prayed for this driver. I prayed that whatever his business was in the mall, he would do it well. I prayed that after his business was conducted, he would make his way to his car with its wide open spaces around it, and safely make his way home to his family. A new parking space opened for me, farther away than his double-slot, but I was still thankful. My family went into the mall and had a great evening together. On our way back to our car, I noticed that Mr. Two Slots had left already. I smiled inwardly and prayed for him again wherever in the metro he might be.